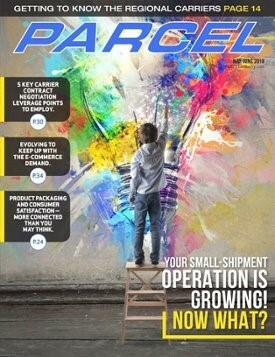 In the May 2018 issue of Parcel Magazine, President of a2b Fulfillment, Ayal Latz, addresses the explosive growth within the e-commerce industry and how retailers need to make sure their shipment operations are staying ahead of the curve. Below are a few of the trends Latz says retailers should keep an eye on as the supply chain continues to chase the ever-growing demand of the multichannel buyer. Companies must be able to adapt to multichannel sales while also getting product out the door quickly and cost-effectively. Retail supply chains must process orders rapidly, and their locations should fall within close range to the majority of their customers in order to lower transit time, which in turn also reduces shipping costs. Most merchants simply don’t have enough distribution centers (DCs) to cover a large geography. Having multiple, strategically located DCs allows merchants to reach the majority of their customers within an acceptable amount of time (although even this is subjective and varies). For example, incorporating just two facilities in optimal locations can achieve a 2-day ground transit to over 90% of US households. Those without enough DCs (or with sub-optimally positioned DCs) will be burdened with the costs of express and priority shipping if they are to meet the demands of today’s consumer. We all know that treating the customer right doesn’t just fall on the merchandising and marketing teams. The fulfillment of the orders and consumer trust in the performance of this process often trumps price. Tools, including order management systems (OMS), warehouse management systems (WMS), shipping execution systems (SES), and the integration of them all play a vital role in a successful order experience. It’s important to realize that these tools are ever-changing and evolving. Merchants (or their 3PLs) must continuously reinvest in these technologies to maximize the potential. As costs and the availability of labor continue to challenge fulfillment operators, mechanization, automation and artificial intelligence (AI) will play an ever-increasing role in the future distribution center. A quick web search of supply chain technology trends will lead you to headlines regarding automated trucks, delivery drones, 3D printers, and robots that pick and pack. While these are all exciting technologies, many are still in their infancy and will both improve and become less expensive over time. Merchants, and especially their 3PLs, should be following these technologies closely and be ready to act when the numbers pencil out. This being said, caution should be exercised not to lose focus on the fundamental technology functions like having a good OMS, WMS and SES/TMS. If your e-commerce fulfillment operation needs help with any of these areas, we would welcome you to reach out and discuss your business needs with us. To download the full version of this story, check out the May 2018 issue of Parcel Magazine.